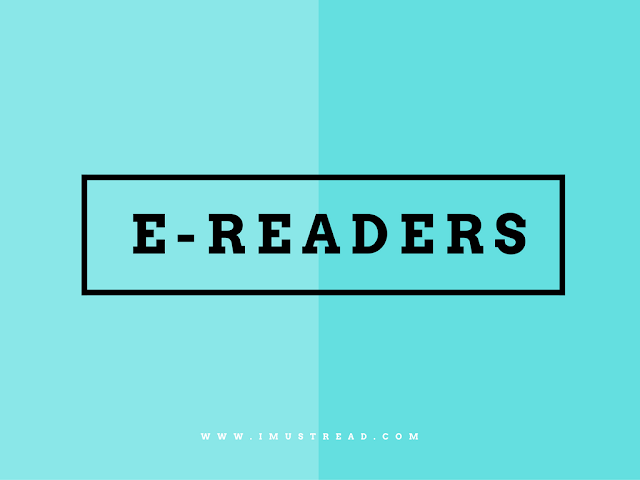 Ebook readers or eReaders are the devices to read the latest ebooks available out there. It is a choice for those who want to read their best novels or comics while on the go. With an eReaders, users can read any piece of information just like they would read on smartphones, iPads, and tablets. However, owning an eReader is a better option since they’re cheaper than any of the above-mentioned gizmos. However, they are dedicated to serve you only one purpose, i.e. allowing you to read. Additionally, they can hold over hundreds if not thousands of books and is even lighter than a book. So if you’re an avid reader, we would suggest that you get your hands on one now. Fortunately for you, we have assembled a list of the finest eReaders that you should be getting your hands right now. kindle Voyage is one of the Amazon’s best products at the moment. Not only is it known for its light weight but it also offers the best blend of resolution and contrast. The only downer is probably the price, which is more than the Kindle Paperwhite. It might not be as good as Paperwhite model, but it is much slimmer and lightweight than its predecessor. It also has an improved lighting system that provides better resolution and contrast. Measures about 3.4mm in size and weighs only 4.6 ounces, Amazon Kindle Oasis is the thinnest and lightest Amazon model to date. Let’s not also forget that it is one of the best eReaders that Amazon has to offer. Its steep price tag assures its quality. It is equipped with a slick leather battery case. Speaking of batteries reminds me about its strong backup power that can run up to 9 weeks. The light weight of the device owes to the use of polymer frame which is designed by Amazon’s engineers. It is reinforced with metal structural electroplating that keeps it from bending easily. The light weight makes it easier to carry along so that you can read your favorite book while you are travelling. It is a modified version of the last year’s Paper white model. It has a sharper and higher resolution than Kindle Voyage. It features the same design with a built-in front light. It uses a 6-inch Carta E Ink HD touchscreen display that has a pixel density of 300 pixels per inch. That is about twice more pixels than its predecessor. However, there isn’t that much of a difference between the two models other than the display quality. The Kindle Oasis still rules, but it’s worth giving this model a shot if you are not that well off. You’ll definitely want to invest in Barnes & Noble's, a rival to Kindle Paperwhite. It is fully waterproof. The best part about this device is that it’s completely ad-free. It comes with a swanky aluminum case along with a lighting scheme and a sharp 300 DPI display. The experience isn’t as super as Kindle’s, but it’s worth a try. If you want to get your hands on your first eReader, there is no better place to start it than Kobo Glo HD. It provides the right kind of convenience, portability, and comfort for your reading session. It has a 6” HD Carta E Ink touchscreen, just like the size of an actual book. It also features fonts, margins, and sizes that you can customize anytime. With its anti-glare screen, you can read in broad daylight or use the ComfortLight so you can read in the pitch darkness of your room at night without straining your eyes. If you’re looking for an eReader on a bargain, Amazon Kindle is what you need. It has everything you need for your reading needs. Kindle can provide the best in class ecosystem with over 4 GB of space for your books. The battery life doesn’t match up to Kindle Voyage and Kindle Paperwhite and you have to pay extra for a charger and case. But it is just the right fit for people on a tight budget. Kobo may be the only true competitor to Amazon when it comes to eReaders, but it still has a long way to go. Still, it delivers on good products such as the Aura H2O. Its 6.8” Carta E Ink touch-screen is large enough to help you easily read your books. The screen has a special non-glare feature that allows you to read in broad daylight. As the name suggests, Aura H2O is waterproof which means you can read your books even in the bath. The crisp and clear resolution makes reading easier on the eyes and fun at the same time. Were it not for its sluggish usability, design, and mediocre screen quality, we would have mentioned it on any of the top slots of our list. Nonetheless, it is among the most popular eReaders to find in the market. It has a very large screen and the slimness is good for what it’s worth. Kobo Touch 2.0 is what readers are trying to look for just to make their reading time personal and simple. The 6-inch anti-glare touchscreen helps you read in the bright outdoors. Kobo’s bookstore is open round the day and you also get to customize your fonts and margins. With over 4 GB of space, you can carry up to thousands of your favorite reads and the battery life can last up to 2 months. This eReader comes with an integrated front light and a high-resolution screen. You can choose from three different colors; Onyx, Ivory, and Espresso. It’s only heavier than Kindle’s Paperwhite, weighing only 40g but it still feels light while carrying in hands. Anna Marsh is an electronic geek with a particular love for wearables, drones, and software. She is the Editor of Assignment Help Deal Company. For more than 5 years, she has been writing articles and products reviews for high-end electronic products.